The earliest Spanish explorers, including Cortés, were aware of iron ore deposits in the New World. 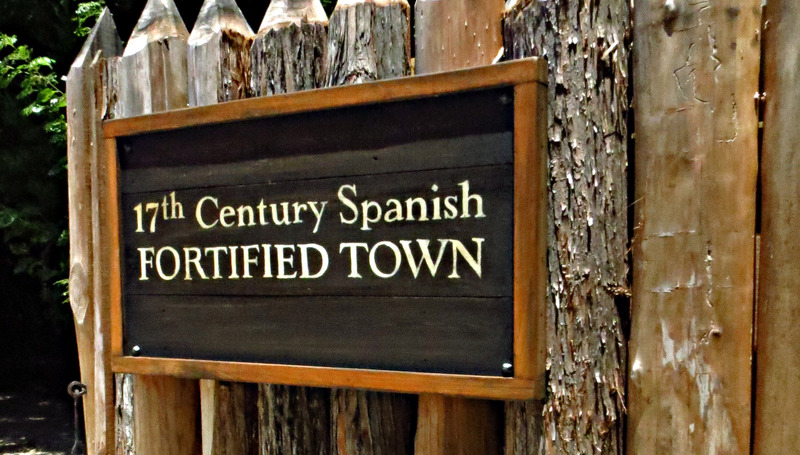 Ironworking was the first craft to be regulated in New Spain when in 1524 price controls were legislated. In 1552 Gínes Vásquez de Mercado found the first major iron ore deposit in northern Mexico at Cerro de Mercado. Through the years other sources of iron were encountered, but they were not seriously developed until after Mexico's independence in 1821. This was partially the result of the Spanish Crown's restriction against the production of iron in New Spain, enacted in an effort to protect its own iron industry, and partially the result of the preference in Mexico for extracting valuable silver ore. Consequently, iron and steel were imported from Spain either in bulk form as sheets or in bars or as worked pieces. Long before their arrival in New Mexico, Spaniards knew iron objects were valuable to Native Americans. The Oñate expedition brought large quantities of small metal utensils and trinkets, including awls, thimbles, hawk's bells and religious medallions, to New Mexico specifically for trade with the Pueblo and Plains Indians. 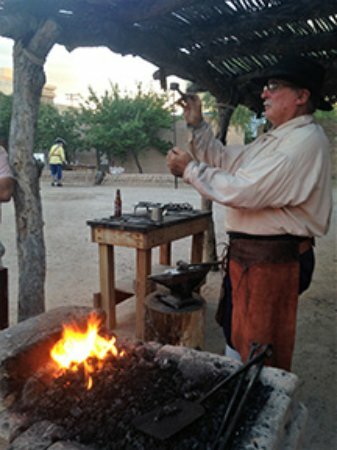 Throughout the colonial period all types of metal objects were important trade items among Spaniards and Pueblo and Plains Indians. spanish colonial parking deck in the background. 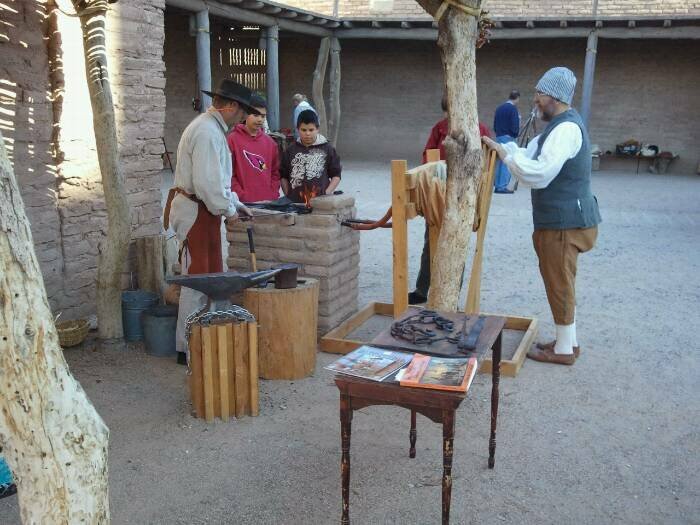 Several Spanish settlers who came to New Mexico with the Oñate expedition were trained blacksmiths. Other settlers were capable of making minor items and repairs as well. 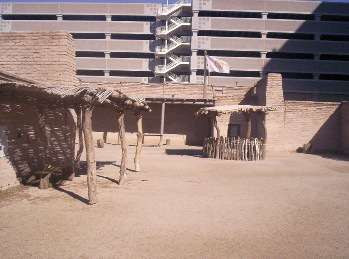 Although Oñate had been instructed by the king to "teach the Indians…in such a way that, upon learning the trades, they may apply themselves and attract others to them," little seems to have been done to this end by the Spanish civilians, other than what was required for the production of trade items, such as painted hides, woven textiles, and knitted woolen stockings. 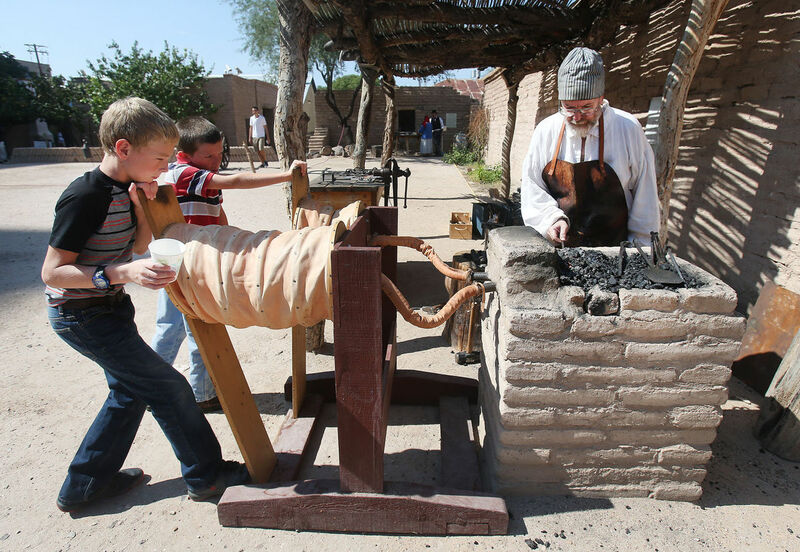 The friars, however, set up workshops at the missions where the Pueblo Indians were instructed in various trades, particularly blacksmithing and carpentry. 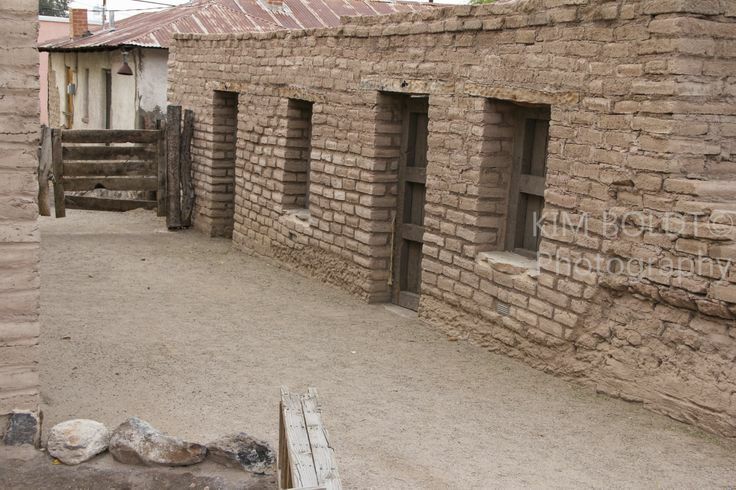 In the seventeenth century there was an armory in the casas reales and there were probably several blacksmith shops in Santa Fe. This is the original anvil used at the Presidio now ensconced in the Smithsonian Institution in Washington, DC. discovered in the same area and also used as an anvil. Still confused, see the picture below. 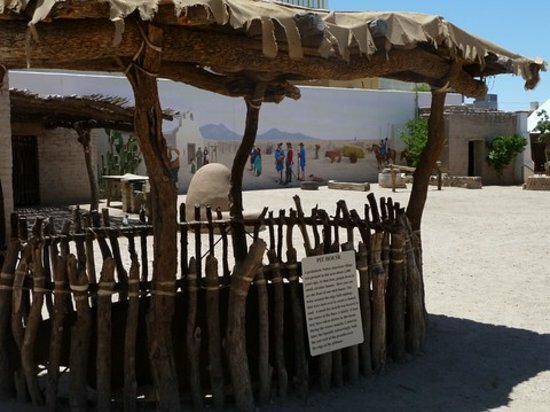 Each of the Tucson masses has a unique convoluted history. 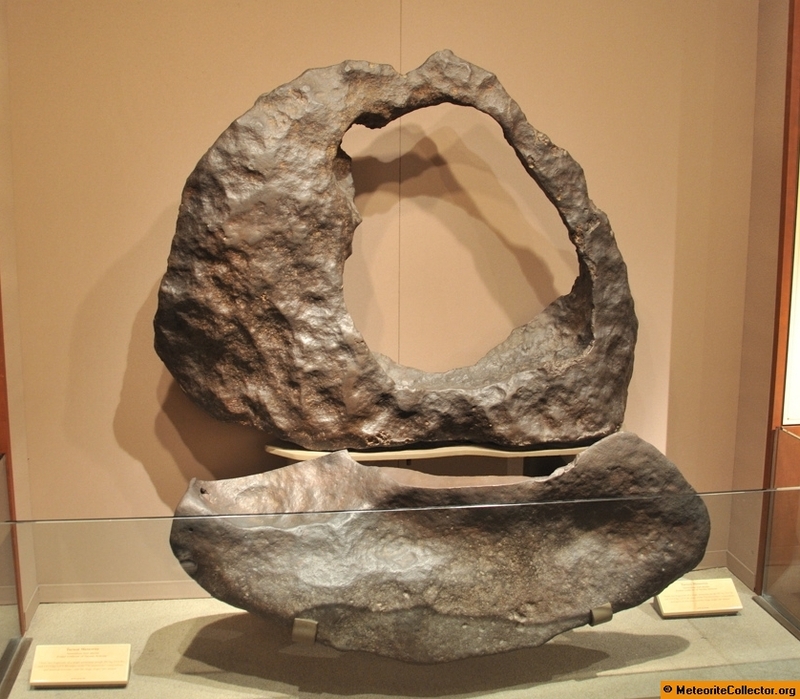 The first recovered and the largest of the two is the 1,400 pound (688 kg) ring-shaped mass, alternately called the Ring, Signet, Ainsa, and IrwinAinsa Meteorite at various times in history. The other mass, originally weighing 633 pounds (287 kg), is named the Carleton Meteorite for the Civil War general who appropriated the piece for public display. The first written description of the Ring dates back to 1845. It was written in Spanish by a respected official of Sonora, Mexico, named José Velasco. From a section of his treatise concerning the state of Sonora, titled Mines of Iron, Lead, Copper, and Quicksilver, he described a mountain pass (known today as Box Canyon) within the Sierra de la Madera range (now the Santa Rita Mountains). This pass, located between Tucson and Tubac, contained many large masses of pure iron, lying at the foot of the mountains. He wrote of a medium-sized mass that was taken to Tucson, a journey of over thirty rugged miles, where it had resided for many years [before 1845], serving as an anvil for the garrison armorer/blacksmith. Writing in his diary for May 31, 1849, the '49er A. Clarke clearly described the find circumstances and provided details of the appearance of the meteorite anvil used by the shoer of his mule. 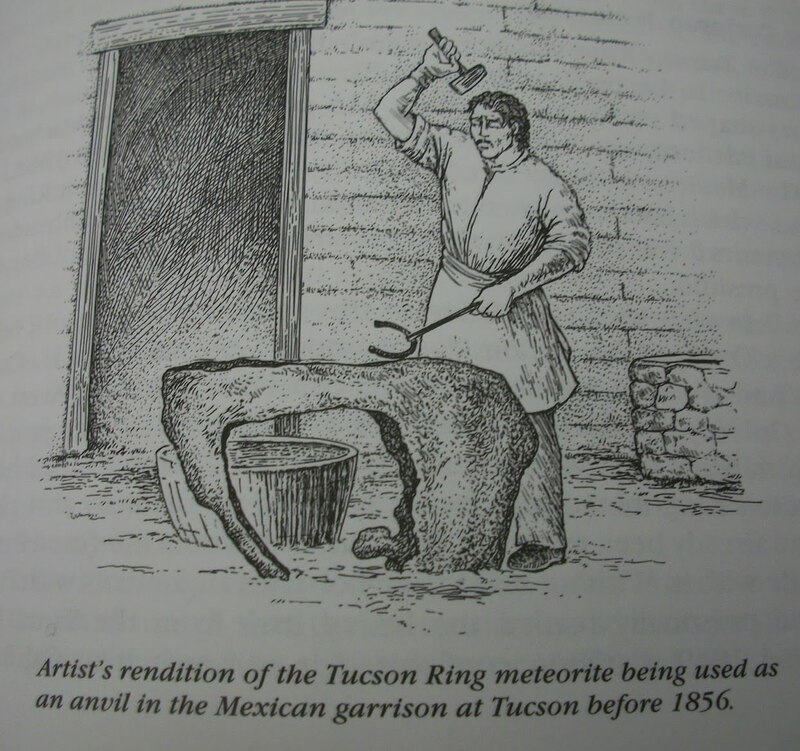 Shortly thereafter, in his article of 1852, Notice of Meteoric Iron in the Mexican Province of Sonora, Dr. John LeConte described the appearance and recovery information of two meteoric anvils being used by blacksmiths in Tucson. 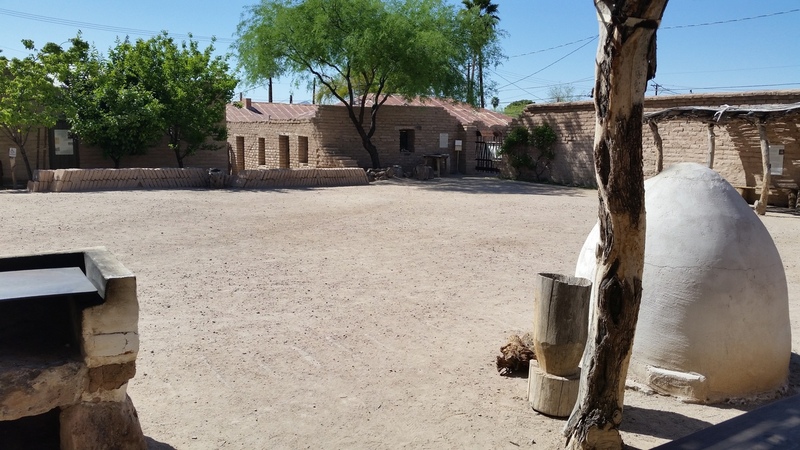 That same year, in his diary entry for July 17, boundary commissioner John Bartlett described the origin and dimensions of the Ring mass and alluded to a second large mass located within the garrison in Tucson. He also made a detailed sketch of the celestial anvil, brought to light only in 1978. Perhaps the most thorough description of the two masses was written by John Parke, lieutenant in charge of a survey expedition. He indicated that with much effort some small samples were acquired and sent to the east for analysis. An analysis was performed by Dr. Charles Shepard and published in 1854 in the American Journal of Science. He reported the lack of crust and the oxidized nature of the meteorite sample, along with its chemical composition. 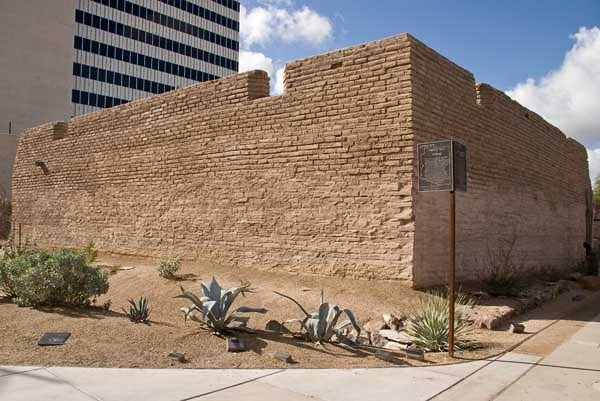 It was a blacksmith named Ramón Pacheco, who recovered the slab-like mass on or about 1850, and put it to use as an anvil in Tucson. 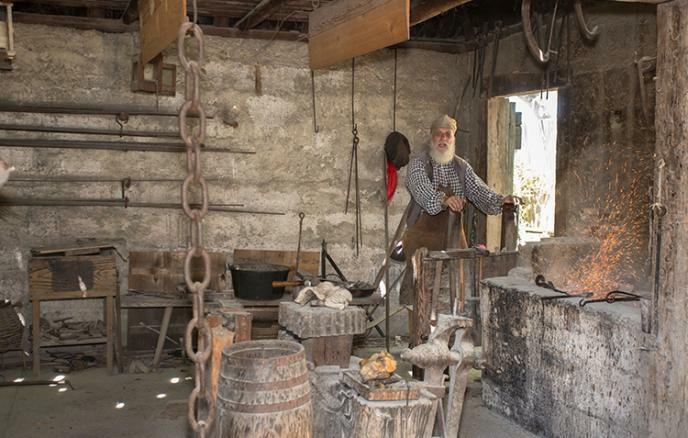 In 1856, the other blacksmith anvil, the Ring, was abandoned leaving all the blacksmith duties to Pacheco and his anvil. 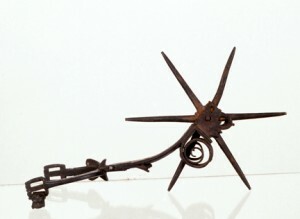 In 1862, Colonel James Carleton confiscated the Pacheco anvil and had it shipped to San Francisco where permission was obtained to saw off a specimen for analysis. The mass remained on display at the Society of California Pioneers until 1939 when it was purchased by the Smithsonian to be displayed alongside the Ring mass. During the year 1860, a medical officer named Bernard Irwin found the abandoned Ring mass and took possession of it on behalf of the Smithsonian. The following year, the meteorite was contracted to begin its journey from Arizona to Washington D.C. via Guaymas by Augustin Ainsa. He took two years to haul the mass to the coast, where his brother, Santiago Ainsa, took over the remaining leg to New York. Santiago was primarily interested in glorifying the family name and contrived a false history of the Ring mass in correspondence with the Smithsonian. 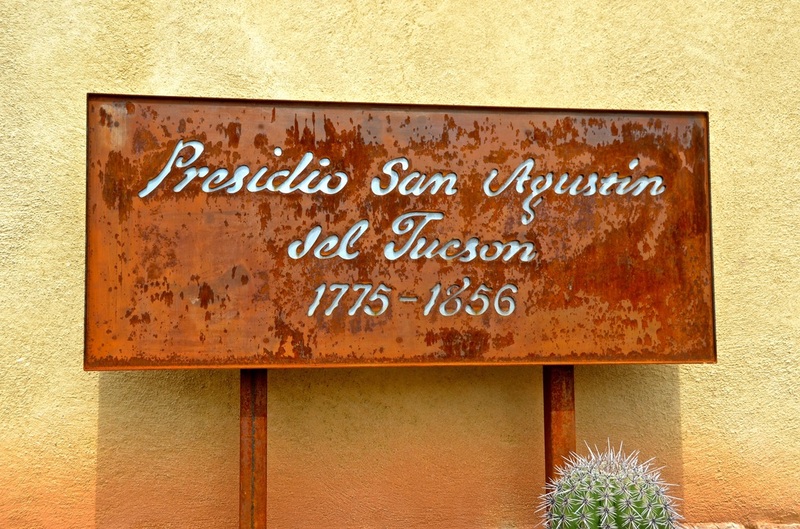 In part, he claimed the mass was recovered by his famous great grandfather, Juan Bautista de Anza, in 1735 at a known location, and transported to Tucson. This legend, along with his other claims, have been proven to be totally fabricated; but not before the credit for the presentation of the Ring Meteorite to the Smithsonian was given to the Ainsas, including naming the Ring meteorite the Ainsa Meteorite. When Irwin learned of this appalling turn of events, he sent a letter to the Smithsonian, debunking Ainsa's fabricated story and protesting their choice of names for the mass. 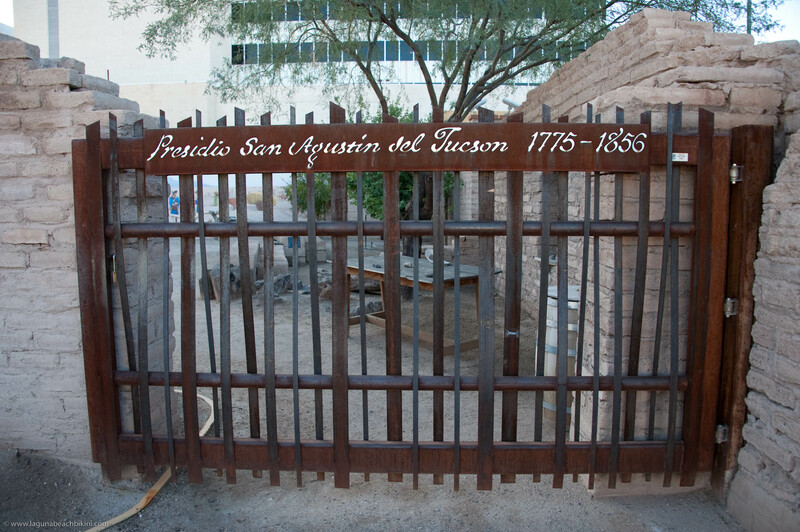 He stated he would rather they rename it the Tucson Meteorite rather than honor the fraudulent claims of Santiago Ainsa. After all, the Ainsas had only contracted to carry it to Washington for Irwin, the original donator to the Smithsonian. The name was subsequently changed to the IrwinAinsa Meteorite, but Irwin was intent on removing the name of Ainsa from the meteorite and publishing the correct history of the mass. It took twelve years for the name to be changed at Irwin's insistence to the Tucson Meteorite. The 3.6 g specimen pictured left was originally part of the inner nodule of the ring mass, and shows a polycrystalline structure with flow patterns of silicate inclusions. The Tucson Ring can be viewed today at the Smithsonian National Museum of Natural History in the Hall of Geology, Gems, and Minerals. 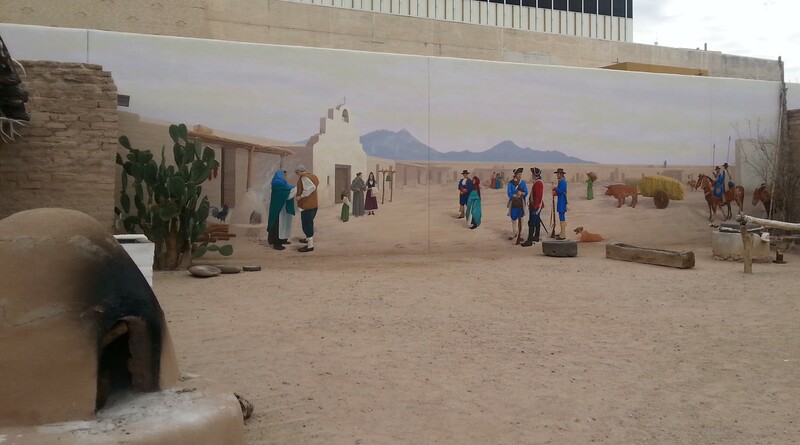 Mural "completing" the look of what the Presidio might have looked like in the day. Drawing of the construction of a pit house. What was once the Northeast corner of the Presidio fort. 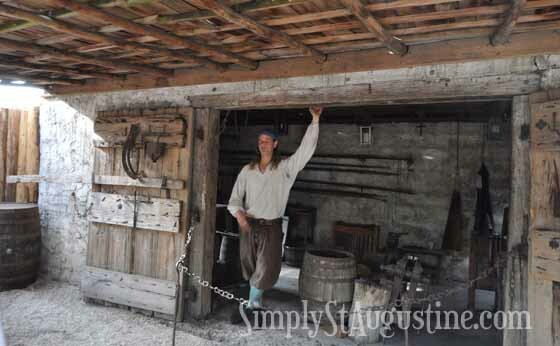 Blacksmith's station on the left, center a pit house. Throughout the season the Presidio hosts "Fridays at the Fort", where 4th graders from local elementary schools. 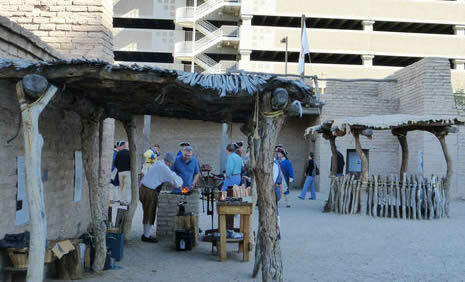 They go through different areas where they learn how people lived in the southwest during the 18th century. 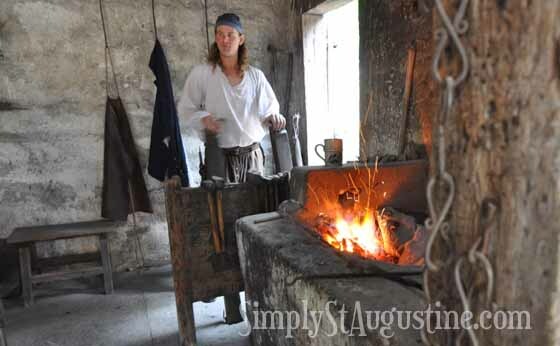 Some of the areas are blacksmithing, calligraphy, cooking, and soldiering. They also get treated to musket and cannon firing by the Presidio soldados. blacksmith to heat and forge the metal without leaving his position near the forge hearth and anvil.